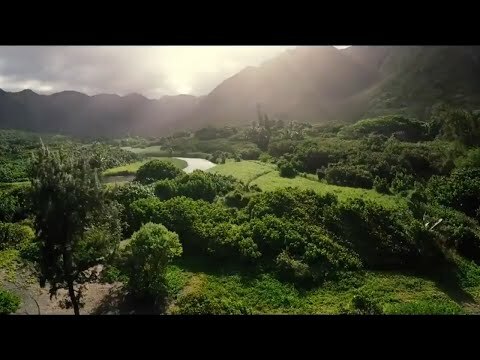 Hawaii is known for being paradise on Earth. Naturally, there has been an increasing flow of people who did not want only to visit these beautiful islands – they wanted to live there. As a result, Hawaii has a large population which is increasing every year. This is no surprise but it comes with a price. Though this habitat is nurturing it can only sustain a certain amount of life. Another issue is that animal species are also expanding at high rates because they have conditions for it. This phenomenon of overcrowding is becoming an issue on a larger scale by the year. The separation between the islands is fairly small and this also enhances pollution and doesn’t solve the issues of over-populating. The flora and fauna of the Hawaiian Islands are often in conflict. Flora is being devoured by livestock and non-indigenous species are not making way for the native ones. As a result, Hawaii has a high rate of endangered species which is a staggering%. It also has a high rate of extinction, also due to the fact that the islands have been over-populated, neglected, and the balance of its natural flora and fauna has been damaged. A lot of bird species have been driven nearly to extinction even before non-natives came. However, due to the import of non-native species brought by man more species have been put in danger. The species which influenced these dangers are cats, dogs, rats etc. All of these are not native to the islands and therefore have had a bad impact. Most of Hawaii’s native species have been eradicated due to human influence. Almost half of its indigenous species are extinct and this issue cannot be reversed. It can only be rectified. The quality of air in Hawaii is actually pretty well balanced and is rated one of the best in the whole US. However, if people don’t preserve this, the quality of air can, too, be liable for deterioration. The quality has become increasingly polluted due to the large population and rapid development on the islands. As a place of tourism, it has welcomed many visitors over the decades but has not managed to recover from the mark the visitors left. This is a good example of how going green in Hawaii is long overdue. Tourists cannot be blamed for pollution but they can be made aware of their impact. Several million people visit Hawaii every year and this number keeps increasing all the time. We have to ask ourselves: What sort of impact does this leave on these islands? Well, the answer is alarming. Most business working in hospitality should switch to eco-friendly policies in order to make a balance for Hawaii’s nature. Though, this is not the case. People rely on luxury and by pushing to the last limits of nature they badly influence the balance of flora and fauna. By ignoring the environmental print they leave behind them people are just making matters worse.